I’m so impatient at this time of the year, in this dreary pre-spring gap. I just want to get out into the garden and make a start on this summer’s gardening plans! Winter planter pots, stunning as they may be (especially my own awesome ones), are just not enough. In my quest for some green-themed gratification, I was flicking through photos of last summer’s vacation in the Baltic, and was reminded of how well they do grass there. 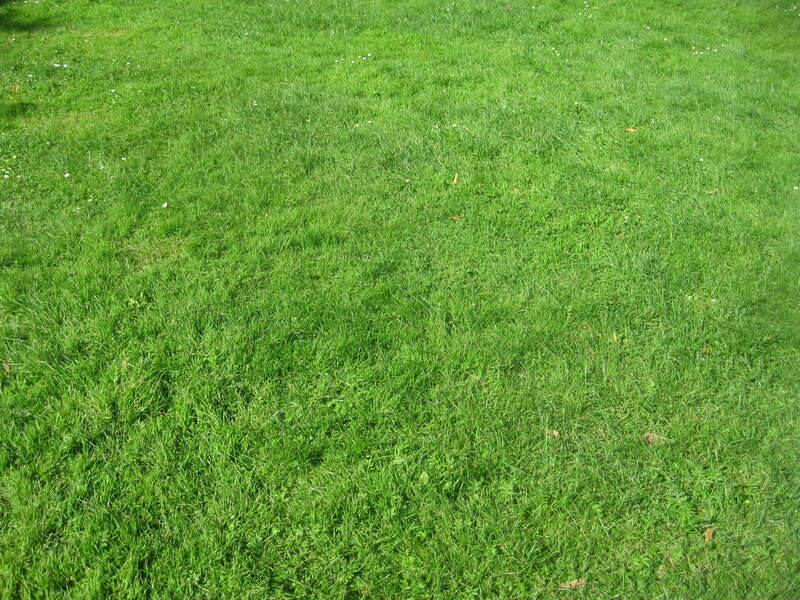 It could be said that in some places, grass is relegated to the role of providing a functional surface for walking on (or in some instances to fill boring horizontal spaces). 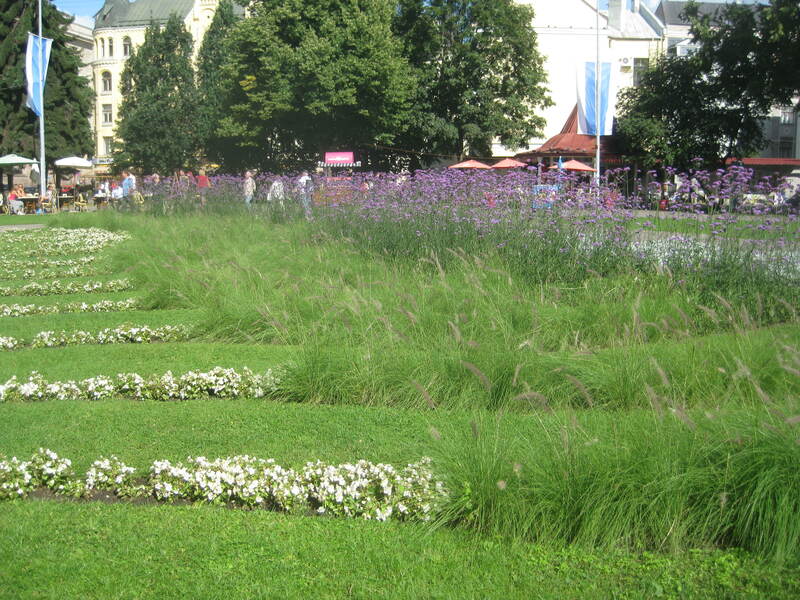 But in Riga, Latvia, grass takes centre stage. 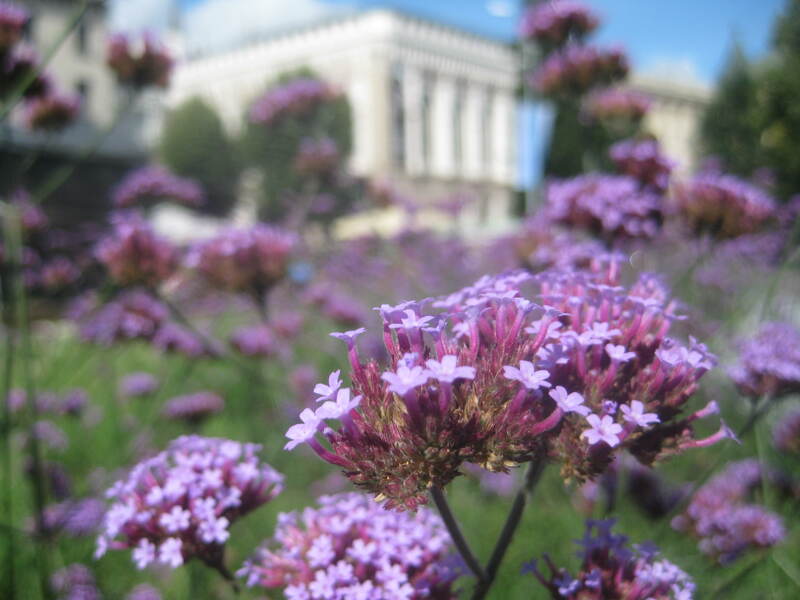 From spiky grass with big puffy heads stealing the show in pots, to swirling plantings of textured grass alongside verbena, it was one amazing festival of wholesome green stuff during my visit to Latvia’s capital last August. So if there’s one thing I’ve taken from my trip to Riga, it’s be kind to your grass. It can be amazing ;-). I hope you’ve enjoyed this silly and slightly demented post. I’m going to put it down to a likely vitamin D deficiency, most certainly caused by the dreaded February. 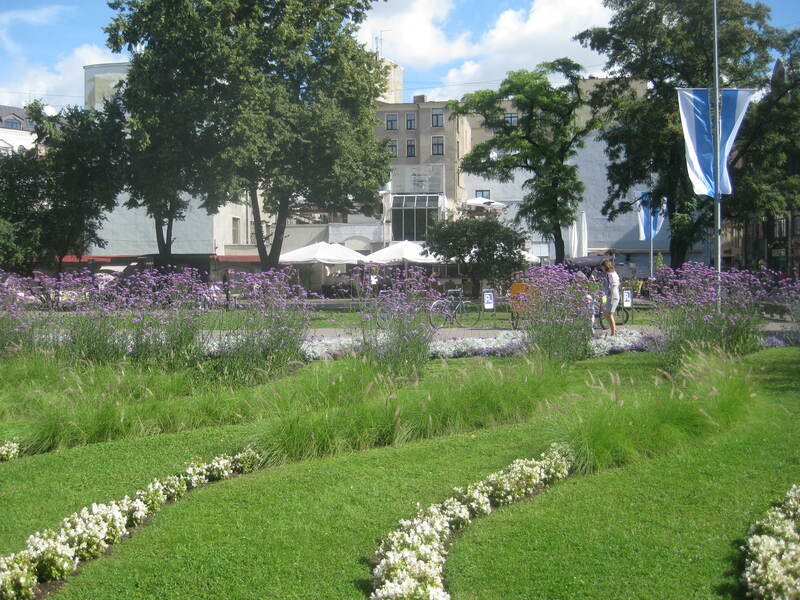 Categories: Baltic, grass, potted garden, Verbena | Tags: Baltic, February, grass, potted garden, purple verbena, Riga | Permalink. Struggling with garden related gift ideas for that special man in your life? Look no further. Made up of rusty browns and silvers, this autumn planting will complement your fella’s manliness, and bring a lovely autumnal vibe to your garden space. 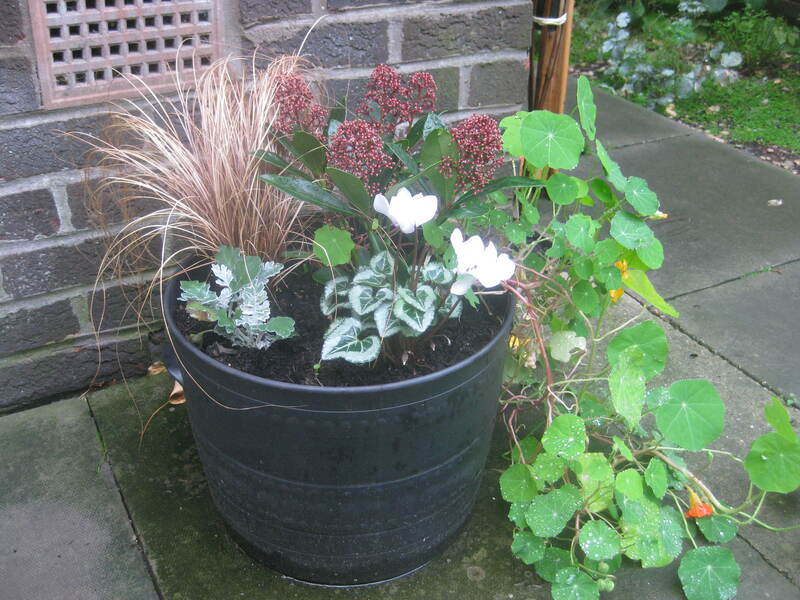 Also included is a tough nasturtium determined to make it to winter, but the planter mainly features Bronco grass, brown flowering Rubella, Silverdust and white cyclamen. Assemblage time: 15 minutes. Enjoy!! 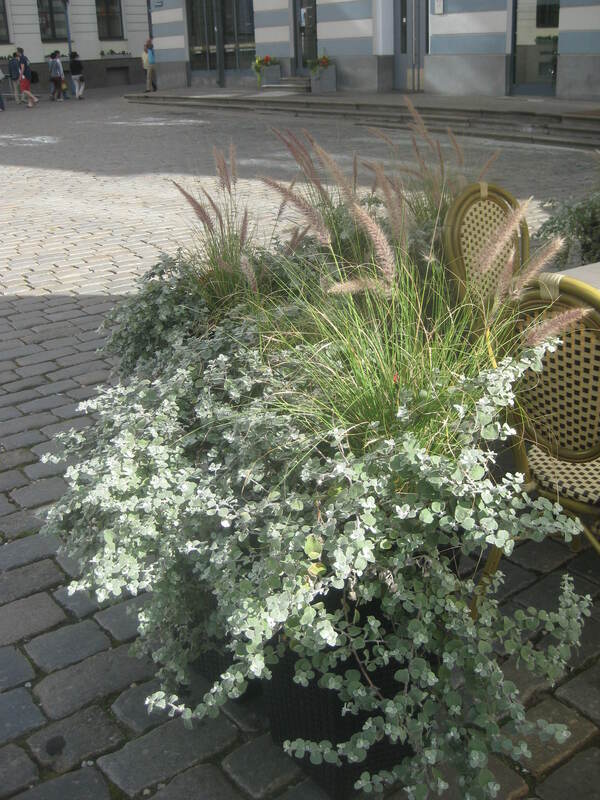 Categories: autumn, grass, potted garden, silver foilage | Tags: autumn planting, masculine planting, potted garden | Permalink.